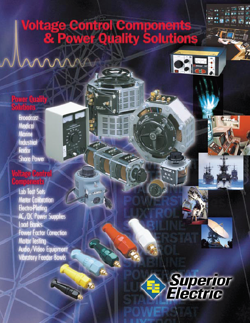 Superior Electric has been manufacturing and marketing voltage control and conditioning equipment since 1938. Product diversity, quality and a strong, customerfocused sales and distribution network make Superior Electric a highly respected market and industry leader. Our customers have seen fit to classify our products as “top of the line.” We take great pride in this.